Based on the research of Trichy V. Krishnan, Siddharth Shekhar Singh and Dipak Jain Airline alliances help travellers fly seamlessly with different airlines during a single journey without having to make different bookings for each stop. Though the alliances aim to offer convenience, they often breed consumer dissatisfaction with the services provided by partner airlines. What factors lead to service quality variations among partner airlines? How can airline alliances promote customer satisfaction? Professors Trichy Krishnan, Siddharth Singh, and Dipak Jain offer some guidance. The last time you booked your tickets for international travel, say through a loyalty programme with Lufthansa for travel to Dallas from Hyderabad, the first leg of your journey (from Hyderabad to Frankfurt) may have been with your ‘home’ airline Lufthansa, while the onward flight from Frankfurt to Dallas could have been with United Airlines. Since most airlines do not have flight network in all parts of the globe, global travellers fly with different airlines until they reach their final destination. Such a partnership of several airlines, formed to offer smooth connections around the world, is an airline alliance. Such an alliance helps travellers fly seamlessly with different airlines during a single journey without having to make different bookings for each stop. First forged in the early 1990s, airline alliances came to be much lauded in their early years as the perfect solution to overcoming global travellers’ woes. For instance, Star Alliance, formed in 1997, now has United Airlines, Lufthansa, All Nippon Airways (ANA), Singapore Airlines, Air India and other airlines as partners. A single international journey on any of the partner airlines of the Star Alliance could combine flights on Lufthansa, Singapore Airlines, Air India or other partners. Airline Alliance members partner to enable travellers to book an international itinerary using a single network. And there are clear economic benefits to partner airlines. However, airline alliances often cause customer dissatisfaction due to variation in service received by a traveller at different partner airlines during a single journey, say Professor Siddharth Shekhar Singh, an expert in the Marketing area at the Indian School of Business, Trichy Krishnan, Dean, School of Management, Bennett University, and Dipak C. Jain, Honorary President of Woosong University, Republic of Korea. In the context of the Star Alliance, loyal customers of Lufthansa may find the services of Lufthansa satisfactory, but term the services of partner airlines such as United Airlines or ANA less-than-satisfactory, and vice versa. The issue is that the success of an airline alliance depends on the quality of service it provides during the entire journey. Therefore, the perceived quality of services received by customers from any partner of the alliance impacts the evaluation of the entire alliance. Despite its obvious importance, the issue of customer satisfaction in the context of airline alliance has not been explored in-depth. In order to provide a deeper understanding of how airline alliances reduce overall customer satisfaction and to help airlines counter their negative effects, Krishnan, Singh and Jain developed an analytical framework to understand the problem of variation in service quality. Note that airlines offer both conventional services and “one-stop” benefits. Conventional services include seat upgrades, online printing of boarding passes, smooth boarding, and loyalty programmes. One-stop benefits pertain to ticket purchase, “seamless travel across partner airlines”, end-to-end baggage movement and better prices. Krishnan, Singh and Jain find that while global travellers were satisfied with the conventional services offered by their home airline and the one-stop benefits provided by the alliance, they were dissatisfied with the conventional services offered by partner airlines of the alliance. Krishnan, Singh and Jain’s careful analysis of the complaints showed that most complaints centred on issues such as lack of lounges with partner airlines, poor facilities for missed flights and the tendency of staff at partner airlines to refer customers to their home airline when problems arose. Many airlines seemed to compromise on the level of service provided to the customers of their partner airlines. Based on their research, Krishnan, Singh and Jain come up with four reasons that cause variations in service quality of different airlines in an alliance. First, being part of an alliance stretched airlines’ service capabilities. When new members joined the alliance, member airlines were forced to cater to higher traffic flows with limited infrastructure. For instance, United Airlines’ service infrastructure may be adequate to serve its own customer base, while proving to be highly inadequate to serve the entire customer base of the Star Alliance. Consequently, greater strain on services could prompt airlines to focus more on their own customers than on partners’ customers. Second, airlines differed in policies related to extra-baggage allowance, miles accrual, missed flights or lost baggage. For example, ANA and other partner members of Star Alliance may calculate miles accrual using different formulae. So, if the first leg of the journey is with ANA, and the second leg is with Singapore Airlines, miles accrual may vary significantly. These differences in policies tend to create dissatisfaction among ANA’s customers who expect the policies of their home airline to apply to all airlines in the alliance. Third, every airline varies in the provision of ‘additional’ services to its customers. For instance, Lufthansa’s policy related to loyal customers and seat upgrades could be very different from Singapore Airlines. Expecting similar loyalty programme services, Singapore Airlines customers may demand seat upgrades that Lufthansa provides only to its loyal customers. If Lufthansa service staff decline to apply such seat upgrades, Singapore Airlines customers may end up filing complaints of poor service against Lufthansa. Finally, in times of emergencies related to missed flights and lost baggage, lacking access to information that is available with the home airline, a partner airline may simply not be in a position to help customers. For instance, customers whose home airline is Air India may question United Airlines about missed baggage because that was the partner airline for the final leg of the journey. United Airlines’ staff cannot possibly trace the missed baggage of Air India’s customers. Air India passengers may perceive United Airlines staff to be very uncooperative. Krishnan, Singh and Jain use a game theory framework in two different scenarios to examine the factors causing service quality variations. In scenario one, the alliance is the mother organisation that decides the service level that each member airline should offer to customers of partner alliances. In scenario two, each member airline of the alliance decides the service level that it will offer to customers of partner airlines. Krishnan, Singh and Jain find that differences in services provided by member airlines are a system-wide issue across the entire alliance, and not one that can be handled by individual airlines. In both scenarios, member airlines cannot avoid providing a lower level of service for loyal customers of partner airlines. This problem can be successfully solved only if the governing board of the alliance takes the lead to fix the optimal service level rather than let the member airlines decide it. For instance, if Star Alliance sets uniform service levels that all members must provide to customers of the alliance, greater customer satisfaction can be achieved by managing customer expectations at the alliance level. It is possible that in the short run, individual airlines would be forced to invest in enhancing service infrastructures. However, in the long run, individual airlines will achieve higher customer satisfaction and profits if the alliance regulates and monitors performance of member airlines. Another novel finding of the study relates to the effective management of loyalty rewards at the alliance level. When loyalty rewards are used by individual airlines to make the most of unused capacity on the alliance, then customers will derive greater satisfaction from both the alliance and individual airlines as well. For instance, Singapore Airlines could let loyal customers of all Star Alliance partner airlines use its spare capacity and vice-versa. The model also indicates the extent to which member airlines should invest in fixed service infrastructure to improve services for loyal customers of their partner airlines as well. When all member airlines invest in fixed service infrastructure, the alliance will attract more customers and all member airlines will benefit from greater profitability and increased customer satisfaction. The researchers also caution that competition among member airlines in an alliance is detrimental both to the alliance and to the individual airlines. Krishnan, Singh and Jain argue that transparency in communicating alliance policies related to missed flights and overbooking is imperative. When customers have information and greater understanding about the services offered by the home airline and the partner airlines, their expectations will be more realistic and that will reduce dissatisfaction. The study offers insights of practical value in managing customer expectations, increasing customer satisfaction, inducing greater cooperation among airlines, and higher profitability and sustainability for airline alliances, and makes for valuable reading for airline decision-makers. While prior research merely identifies problems related to variation in airline service quality, this study can help airline executives ensure that the convenience of airline alliances trumps passenger complaints. About the Researchers: Siddharth Shekhar Singh is Associate Professor of Marketing and Associate Dean, Research Centres and Institutes (RCI) Outreach and Engagement at the Indian School of Business. 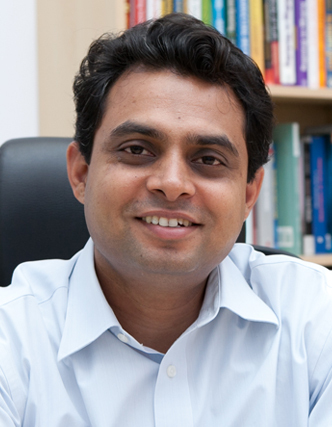 His profile is here: http://www.isb.edu/faculty-research/faculty/directory/singh-siddharth-s Trichy V. Krishnan is the Dean, School of Management, Bennett University. Dipak C. Jain is Honorary President, Woosong University, Republic of Korea. About the Research: Krishnan, T.V., Singh. S.S. and Jain, Dipak C., 2017. Airlines Alliances: Fractures in Seamless Service. Working Paper, Indian School of Business. About the Writer: Catherine Xavier is a writer with the Centre for Learning and Management Practice at the Indian School of Business. Associate Professor of Marketing at the Indian School of Business (ISB). He also heads the ISB’s initiative for excellence in media research, The Media Hub.